Katherine Schroeder (left) with her dance group. Our TV campaign this year focuses on the lives of five kids who allow us to walk with them on the other side of “better.” Here’s the story of 12-year-old Katherine Schroeder. Katherine was born with a hole in her heart and an abnormal valve, known as congenital heart disease. She then developed other heart defects. At 4 months old, her aorta was repaired. And at 3 years old, her narrowed left ventricle, which cut the flow of blood to her heart, was mended. All in all, it’s been 15 procedures and counting. Under the care of more than a dozen Akron Children’s Hospital physicians like Dr. C.R. Patel in maternal-fetal cardiology and Dr. John Clark in the arrhythmia center, since the day she was born, Katherine has grown into a “normal” kid. 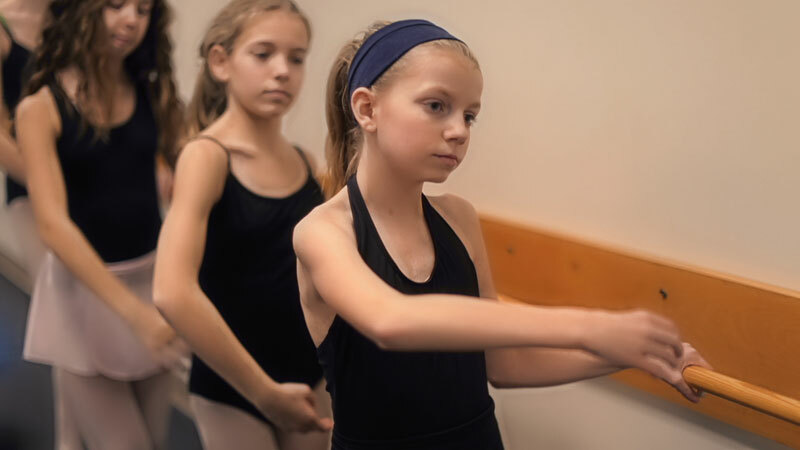 Although she’s on medication, tires easily and will eventually need more surgeries to keep her heart functioning properly, she’s not letting congenital heart defects stop her from doing the things she loves – dancing, performing on stage, singing and having fun. Congenital heart defects are the most common type of birth defect, affecting 8 out of every 1,000 newborns, according to the National Heart, Lung and Blood Institute. Each year, more than 35,000 babies in the U.S. are born with congenital heart defects. Although congenital heart defects cannot be prevented, most of them can be treated medically or surgically.